Ultimate Ears has launched its UE Roll Bluetooth speaker in India. The device is available from today for a suggested retail price of Rs. 8,495. The speaker is waterproof and comes with a bungee cord that allows the user to carry it around easily. The UE Roll app for iOS and Android allows users to remotely turn on the speaker, wake up to their favourite song, or even double the sound by pairing it with any other UE speakers wirelessly. The speakers will be available in Volcano, Atmosphere, Sugarplum, Sriracha colour variants. Ultimate Ears continues to transform the way people experience music, together, out in the world. Today Ultimate Ears announces UE ROLL, a powerful pint-sized wireless Bluetooth® speaker that is ready for whatever, wherever, whenever. You haven’t heard anything yet. UE ROLL blasts unapologetically awesome 360-degree sound that is loud and crisp with deep bass that busts out incredible beats. On top of its insane sound, the design of UE ROLL carries the essence of the original UE BOOM and is made to be part of your ultra-mobile lifestyle. Whether you fasten it to your swimsuit using its one of a kind attach-and-go bungee cord, or hook it to your hiking gear while you backpack, UE ROLL connects to you, your friends and your music. It is waterproof and life-resistant, forged from the toughest, most premium materials, so you can dunk it, drop it or toss it anywhere. In addition to its epic sound and adventurous, go-everywhere build, UE ROLL continuously gets better over time, just like UE BOOM. Through the UE ROLL app for iOS® and Android™, you can wake up to your favorite music, remotely turn the speaker on, and even double the sound by pairing it with any other Ultimate Ears speaker. New updates are sent to UE speakers wirelessly through the app, so you can easily continue to expand features, making each speaker even more awesome with time. 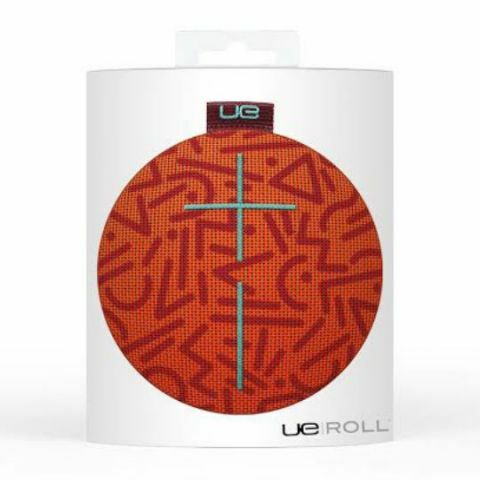 UE ROLL is expected to be available in India from 21st Jan 2016, for a suggested retail price of INR 8,495 For more information, please visit www.ultimateears.com.